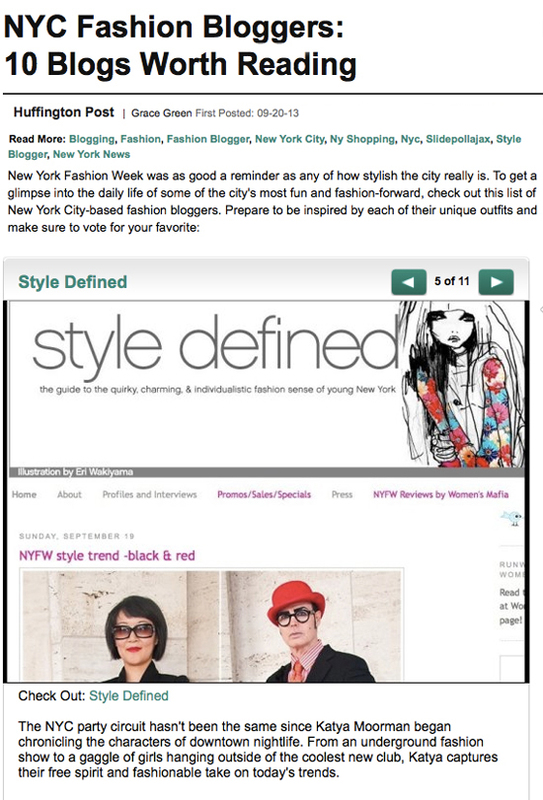 STYLEDEFINED NYC was created with a unique mix of style, nightlife and personal point of view, and quickly "developed a cult following by New York’s riotous underground tribe." (ID Magazine) It began as a photographic essay on streetstyle and fashion that transformed into an online magazine with over 200k+ unique visitors worldwide monthly. Began in 2008 it was sold in 2014. Site appeared regularly on lists of top Fashion Blogs including The Huffington Post, French Vogue, and Time Out NY and was recognized as a valuable contributor to the fashion conversation by industry leaders such as Zink and Glamour Magazine. Early interview with fashion designer Katie Gallagher in Williamsburg, Brooklyn. Interview with Karlo Steel, one of the geniuses behind Atelier, a brilliant men's boutique in lower manhattan.